Photos donated by Joe Inabnet KD5EIY. The Ocean Hopper, Space Spanner, and Star Roamer are all Allied Radio Knight. The forth radio in Allied's set of entry level shortwave kits from Allied Radio is the Span Master, already in the archives. 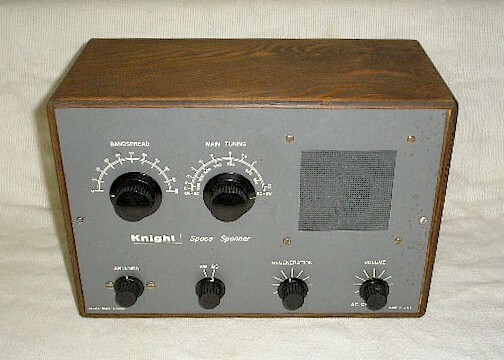 These radios were in kit form and many young radio enthusiasts, like myself, learned electronics and the shortwave listening hobby from these Knight Kits from Allied Radio. The Ocean hopper was built by me in 1963. You are visitor number 147 to this page this year.